Do you have a collection? Well, most of us have a collection and we always want to show that to other people. But what about if you are fond of collecting huge items like cars? How can you fit that in your home? Some homeowners actually have spacious homes and it is not hard for them to allocate a space for big collections. Have you seen a home like this? 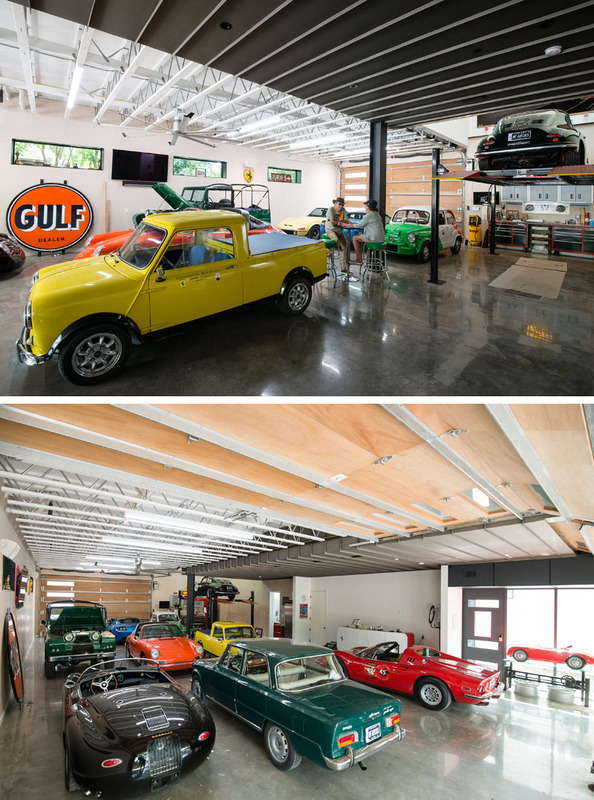 Well, you are about to see a house that features a huge collection of cars. That is why it is called Autohaus. It sure is! But what makes it even more interesting is the design of the interior and the exterior. The house design is indeed a product of thorough brainstorming by the designers and the owners. The result? 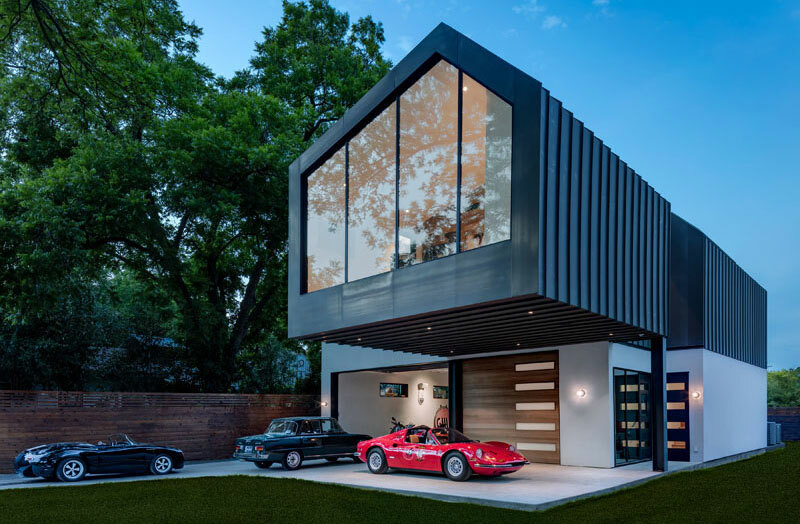 A beautiful modern home that is not just perfect for the family who resides in it but also for their cars! Would you like to take a look at the Autohaus? Scroll down below and take a brief virtual tour of the home. Unique feature: This modern home has many interesting features but its highlight is the area for the owner’s car collection. 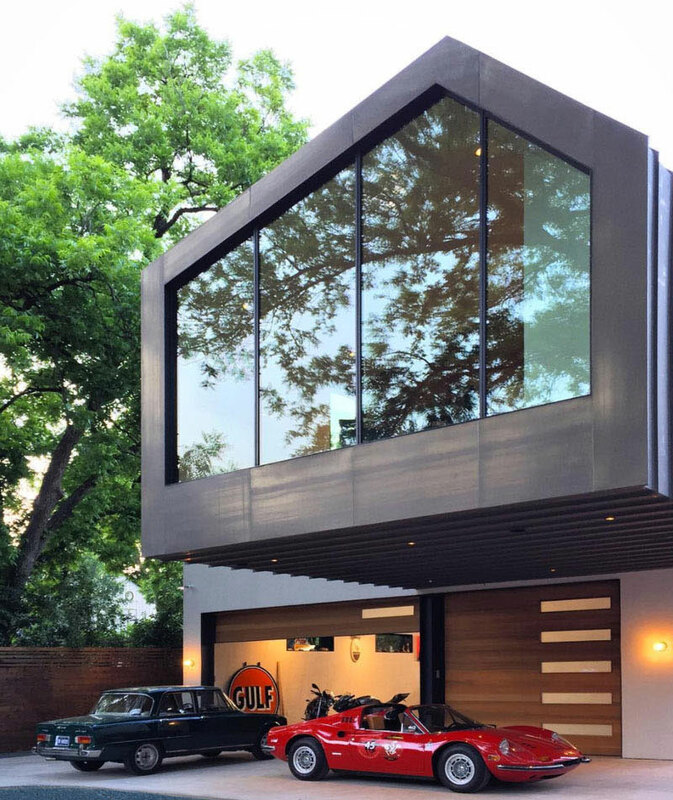 Matt Fajkus Architecture worked on this house which features a huge car showroom or garage. Aside from that, it also has a large cantilevered are wrapped in glass. At the front of the house, one can easily see a twenty-foot cantilever. It is made possible by using large steel beams while adding a striking feature to the home. The cantilever is not just an added appeal to the house but it also creates a space for a covered carport. The house is named Autohaus which was designed for a car collector. 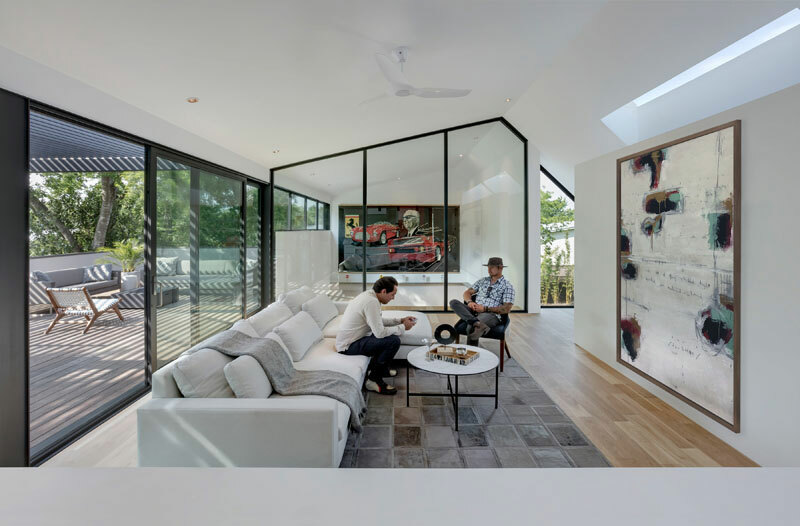 Its garage makes up most of the ground level floor of the home that is dedicated to this collection. There are different cars inside the house as part of the owner’s car collection. There is also a lift and mechanical area with plenty of light. It has garage doors at each end to access the space. If you love cars, you will surely be amazed by this sight! 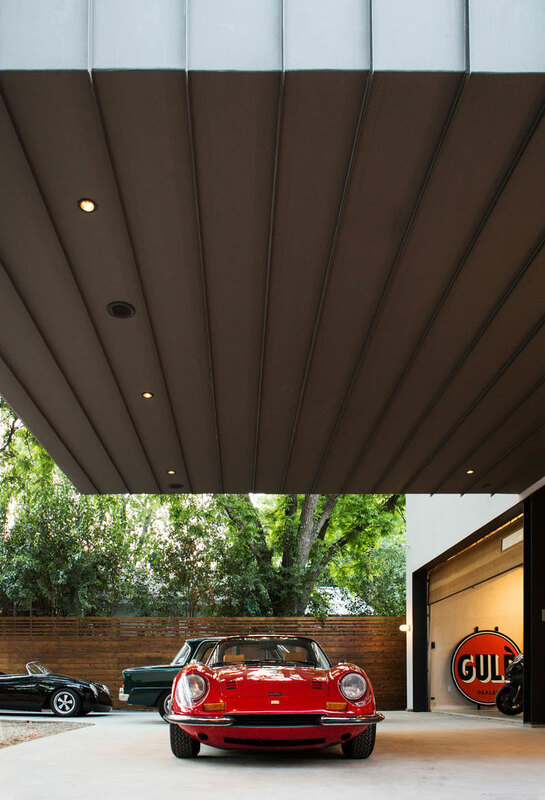 The cantilevered area of the house doubles as a carport just like what you can see here. I also noticed that it has a wooden fence which is a good contrast to the concrete features of the home’s building. The second floor is dedicated to the compact living quarters. This area appears to float above the garage. 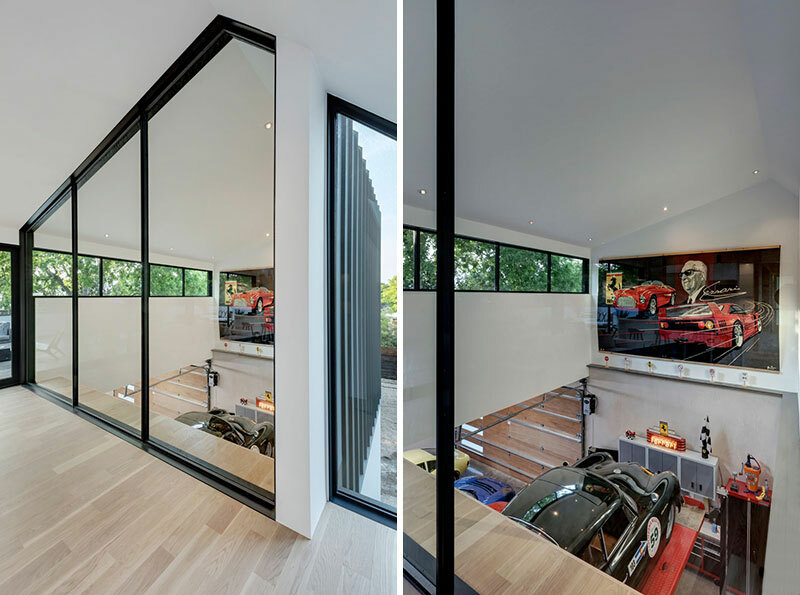 At the top of the stairs, one can see a large black-framed glass wall that provides a view of the cars below it. I also love the design of the interior as well as the decors in it. Seen here is a glass window which overlooks the garage of the house. The main living area of the home is open plan. The living room and kitchen share the same space. There are wood accent wall and wood flooring that helps to warm up the white interior. Housed in the cantilever is the bedroom. What we can see here is the end of the hallway within the cantilever at the front of the house. 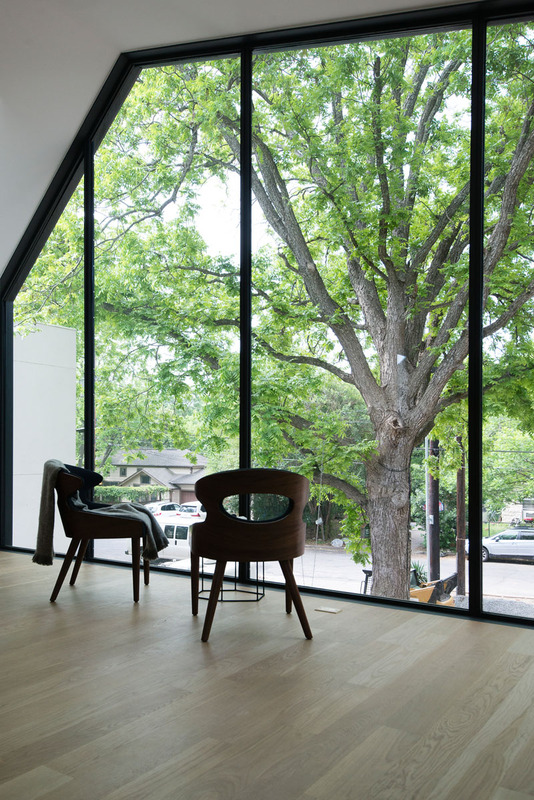 It features a large floor-to-ceiling window that provides views of the trees and the street below it. 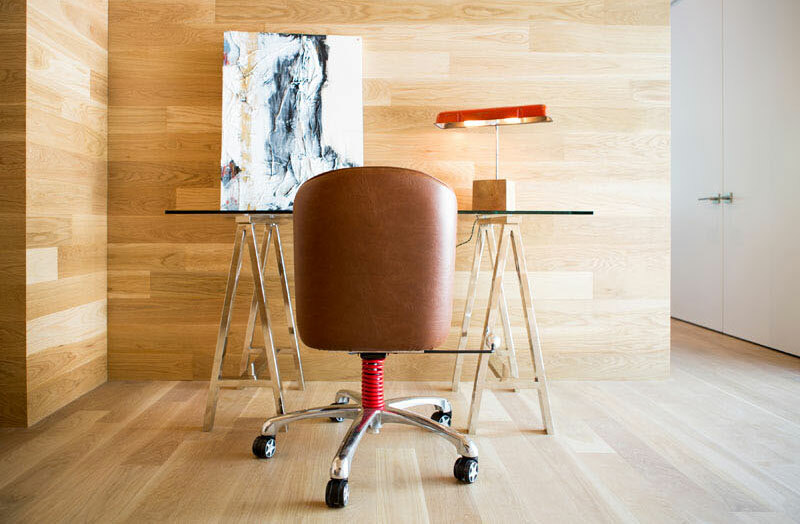 What you can see here is a home office nook that is surrounded by wood. This area is located beside the kitchen. Connecting the garage and the upper floor of the home is a light-filled stairwell. 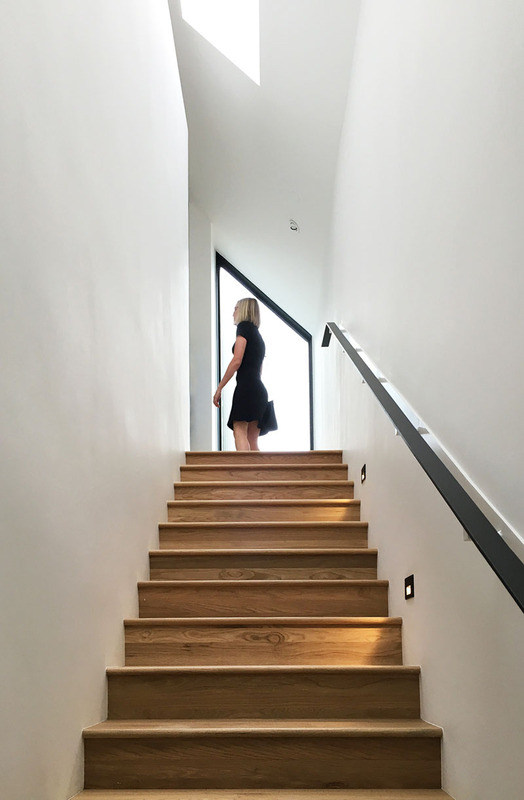 It used a combination of wooden stairs and a minimalist black handrail. Down the hallway of the house is the bathroom. It has a simple design with grey floor tiles paired with textured white wall tiles to create a contemporary appearance. 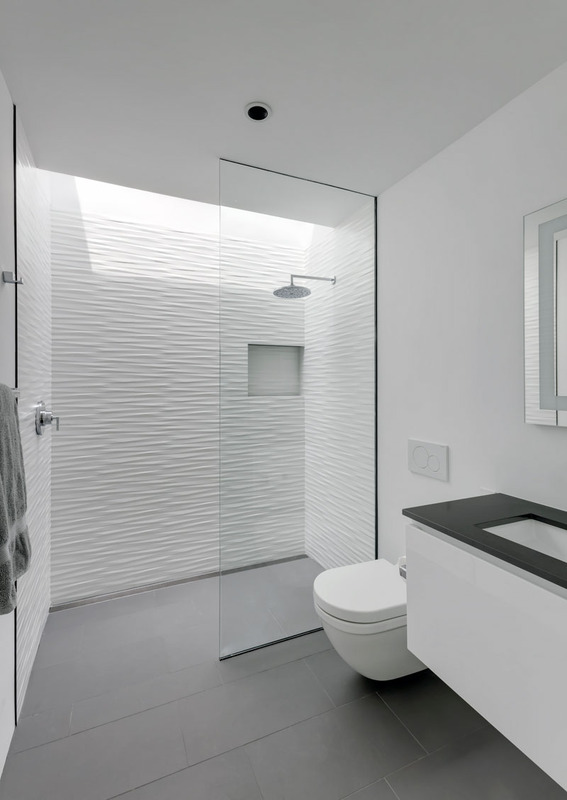 The bathroom also features a skylight located above the shower, adding a touch of natural light to the space. Another interesting feature of the house is this pergola with custom-made steel and glass sliding doors. 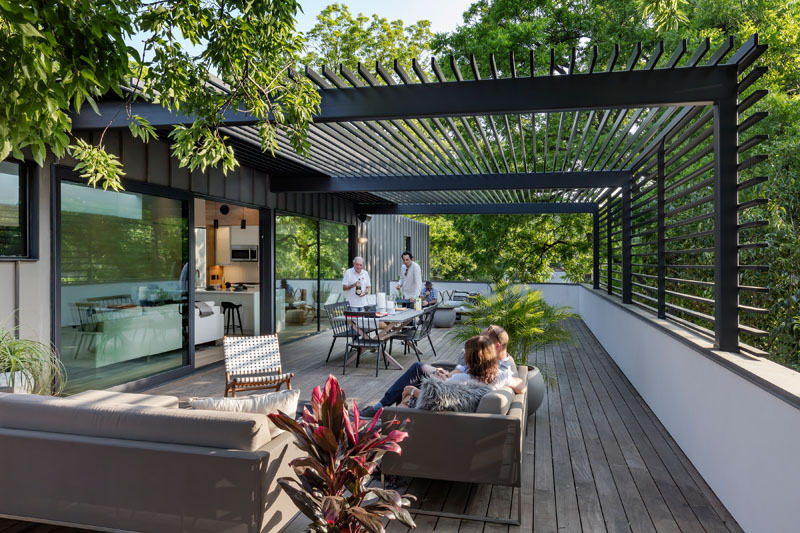 This large roof terrace is connected to the living space creating an indoor/outdoor living environment. 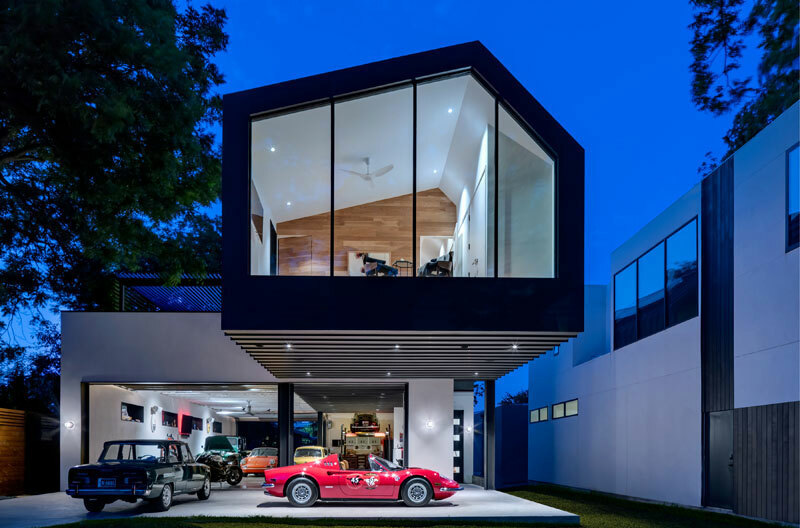 Let us take one last glance at the Autohaus where you can see a huge car collection and the sleek geometric lines of the home. What can you say about this house? This is a project from Matt Fajkus Architecture which turned out really nice. I love it that they were able to incorporate the owner’s car collection into the house while making sure that it is comfortable for the family to live in. This shows us that we can actually integrate whatever features we want as long as we just discuss things well with the designers and builders. Doing this will give the home a personal touch that will give your home its own personality. For sure, when your house is designed in this manner, you will know that no one else will have a home like yours! What features do you want to have in your own home?